A gold and silver investment is a very popular option right now, and these metals have been in high demand throughout history as well. If you are going to invest in silver, the best possible choice to consider is 999 silver bullion. This is considered investment quality bullion, and you can find bars and coins of this quality in a variety of weights and sizes. One of the largest is the silver bullion 100 oz bar, but you can also purchase ten or even one ounce bars with this purity level as well. 999 silver bullion is the purist form and highest quality of silver bullion you can find anywhere, and this is why so many investors pick this type. Another benefit of 999 silver bullion bars and coins is that these products usually come in standard weights. 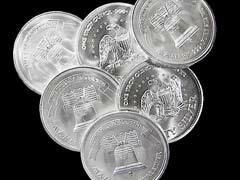 You will find one, ten, and one hundred ounce silver bullion bars that have weight and quality stamp, as well as the stamp of the manufacturer who minted the bars. This is also true with gold 9999 bullion that is purchased by a big percentage of investors. Products which are this pure have a higher liquidity, and are easier to sell if you choose to do so. One consideration with larger bars of 999 silver bullion, and also with big quantities of gold bullion, is that the large amount may mean you have to spend some time finding a buyer. With 1 oz and 10 oz silver bullion bars this is not a problem, and even one hundred ounce bars of both gold and 999 silver bullion will sell eventually. The larger bars may require a substantial amount of investment capital though, so you may need to find other investors who have this type of budget for investing in precious metals. This can involve a little work, while the smaller bars will fit within almost any budget. Crafted from the purest form of silver, these bars also come with the lowest possible dealer premiums and mark ups and are considered the most cost effective ways to invest in this precious metal. Engelgard and Johnson Matthey silver bars are among the premiere investment instruments available in sizes ranging from 1-100 oz. With limitless industrial applications of silver and high investor demands, these investments will become great additions to your recession proof portfolio.